Touchscreen kiosks are commonplace at airports for flight check-ins and even getting through customs in some locations but the use of these system is expanding to driver license issuers across the country. 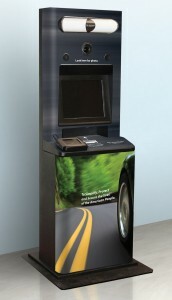 Each state has its own policy and rules for using the kiosks. In Massachusetts a resident walks up to the kiosk, scans their driver license or ID and then answers a few knowledge-based authentication questions, Bouse explains. 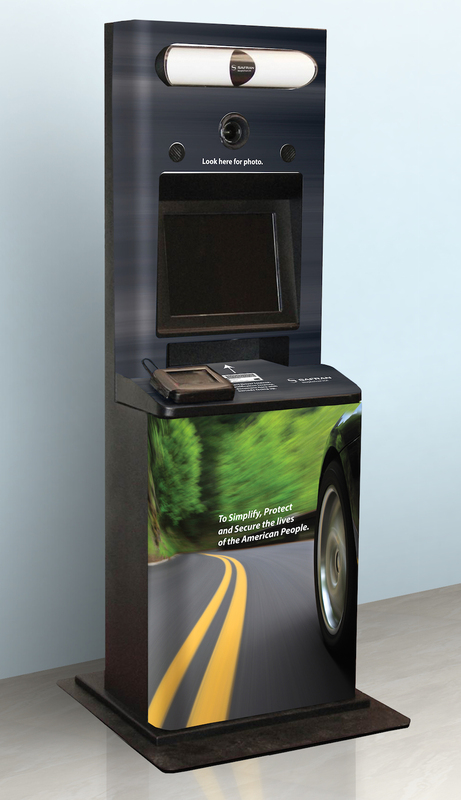 The kiosk is outfitted with a camera that takes a photo of the individual and uses facial recognition technology to do a one-to-one facial recognition match with the original record. If the resident is getting a replacement license they have to answer additional knowledge-based authentication question. If there are no issues the kiosk will asks f they want to be an organ donor, register to vote or other possibilities. The process is completed with a signature on a pad and payment for the new ID. Massachusetts is a central-issuance state so residents get a receipt and their license arrives in the mail a few days later. For states that have over-the-counter issuance they would take that receipt to a counter where they would wait for the ID to be printed. States are deploying the kiosks to reduce lines and wait times and increase customer service, Bouse says. It’s another option with mailing in renewals or doing it online. The main key is that DMVs are giving citizens a lot of choices.